The Voice Logic VoicePro System is a combination Voice Mail System and hybrid telephone switch for the Small Office/Home Office (SOHO) market. Supports up to 4 incoming phone lines and up to 12 extensions. Extensions support regular telephones, fax machines, cordless phones, and credit card machines. Standard features such as music, on hold input, and pager notification make it an exceptional product. The VP206 System supports up to 2 incoming lines, up to 6 extensions with 2 ports available for voice mail, 85 mail boxes, and 2 hrs. of message storage. There are 4 main system greetings w/Auto Attendant, Night, and Weekend Greetings. Program via phone extension with remote programming possible, as well as remote access to leave and retrieve messages. System allows user to make station intercom calls, place calls on hold (Music on Hold is available with a music source), transfer from one extension to another, and 3 party conferencing. No need to dial 9 for outside calls. Plays music for caller on hold. (External device such as a CD player required). Notifies pager when a Voice Mail message is placed. 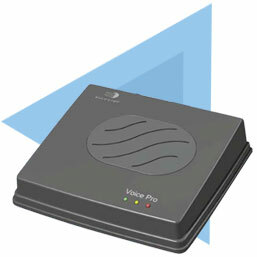 Program voice mail service or listen to messages from any telephone. Transfer calls to others people connected to the telephone system.